The ancient science of Ayurveda has given us treatments and solutions for numerous common ailments and diseases as well as for mental stress and tension. These treatments do not have any side effects and the medicines used are carefully prepared using natural ingredients only. Therefore, it makes sense to undergo an Ayurveda experience, which is highly therapeutic as well as refreshing and rejuvenating. 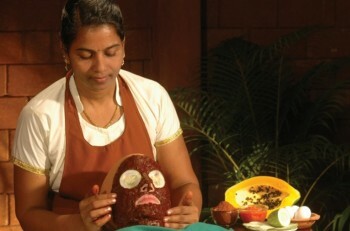 We offer a number of Ayurveda Panchakarma and Rasayana Packages for its customers. 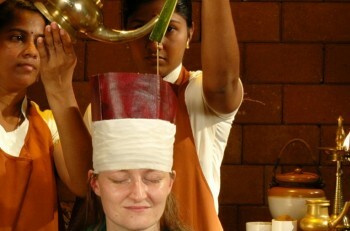 All the treatments are prescribed by expert Ayurvedic doctors at the resort and carried out under proper supervision. Every package includes accommodation, Ayurveda treatment and full board Ayurvedic vegetarian food. Several complimentary services such as daily Yoga classes, boat tours in the backwaters etc. are offered for all packages.